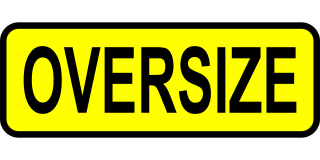 For operating motor vehicles, combinations that exceed legal limits for weight, length, height, or width must apply for an over-dimensional permit. Truck tractor/semitrailer over width and legal weight, 80,000 lbs. Heavy haul truck and trailer over width and overweight, 98,000 lbs. Already use OTA for permits? Write a review!